How to Remove Full Lace Wig or Lace Front Wig? Sometimes it need others assist to care and wash human hair lace wig with low maintenance,they look like their own hair,and can wash and go style for a extended period of time if cared correctly.When wear for more than 10 days,wearers would like to remove the wig at home quickly.they can't simply be taken off with a pull after a solvent is used,this will damage the wearer's scalp,skin or damage the lace wig itself.gently pull the lace,this can save much time to care long lasting hairstyle full lace wigs or lace front wigs. Even though such full lace wigs(lace front wigs) cost a bit initially, the money you save in constant stores will be $100 cheaper. Purchase lace wig solvent. There are many solvents available on the market that are specially made for full lace wigs and front lace wigs. These solvents can soften adhesives so it will be easier for removal. If you can't afford a solvent, isopropyl alcohol works is ok as well. How to apply solvent or alcohol to the full lace front wig? use a q-tip, make-up applicator or small brush and rub along the front and back hairline. gently tug, rubbing more solvent at resistant areas. Keep doing this until you feel the grip of the wig lessening enough to pull free of the skin. The human hair lace wigs won't simply slide off with a pull after a solvent is used,you may have to carefully tug at small sections of the full lace wig or lace front wig to get it to come up.Take care when tugging,as you don't want to tear the delicate lace base. If you do damage it, don't worry, we can teach you how to repair lace(please view our articles concerning this),and some lace wig sellers also offer lace wigs repair service. Gently remove the full lace wig(lace front wig). As tempting as it will be to just pull the lace wig off once the glue is loosened, that could be a mistake. You may have to have missed a couple of areas where the bond is still reasonably secure and end up tearing the lace wig. If you grow impatient with the process, just remind yourself that you have spent a considerable mount of money on your hairpiece. Replacing and repairing it could be expensive. With painstaking care, use your your fingers to grab one area and pull on it, again dotting the resistant spots with solvent until you feel the glue loosen its hold. Once you know for sure that the unit is free, you can remove it from your head carefully. Clean your skin. Olive oil is great for removing the glue that is left on the skin and hair (if you managed to get glue on your natural hair) and you can work it into the glue with your fingertips. Any kind or brand will do, as we merely wish to use it to make the glue less sticky. Once you have managed to get a large area of the adhesive off, use soap and water to remove any excess adhesive. This may be an excellent time to hop in the shower and wash your own hair prior to re-applying the full lace front wig.Clean skin and oil free hair make the full lace wig or lace front wig setting last longer and is just downright healthy for your scalp. Wash and clean the lace wig.This could be your time to wash and condition the human hair lace wig. Although you can wash it while it is on your head, it is better to agitate the lace wig in the sink with a mild shampoo followed by a light, oil free conditioner. Use a wide wig brush to untangle hair and try not to pull on the unit,you don't want it to shed. 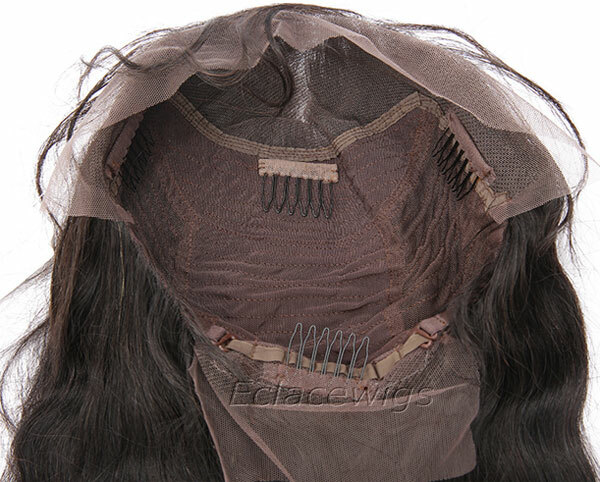 Allow full lace wig or lace front wig to air dry completely, but if you need to be able to wear it in a hurry, you can sit the lace front on a wig stand and set it under a hooded dryer until it is ready to be placed back on your head. After it dries, you still notice a bit of residue on the full lace wig(lace front wig), you can take a hand held mirror and slide the glued area of the wig on it like magic, the glue will rub off onto the mirror. When done, you can clean the mirror and start to replace the unit onto your head.